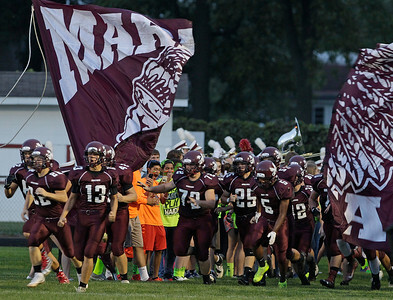 H. Rick Bamman - hbamman@shawmedia.com Marengo players storm on to the field during the pregame program on Friday, Sept. 16, 2016. 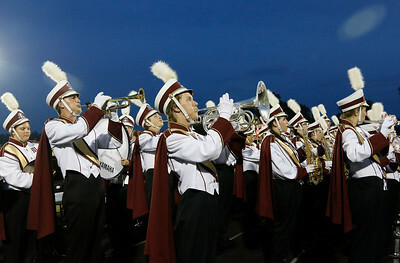 H. Rick Bamman - hbamman@shawmedia.com The Marengo High School band performs the school song before the strat of the game with Woodstock North on Friday, Sept. 16, 2016. 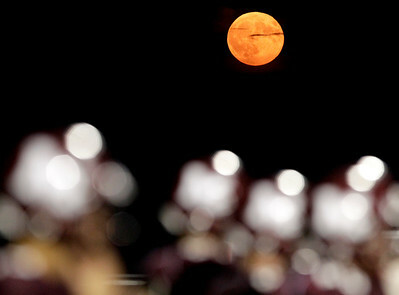 H. Rick Bamman - hbamman@shawmedia.com The harvest moon rises over the Marengo high school football field Friday, Sept, 16. The harvest moon is the full moon closest to the autumnal equinox, which comes next Thursday, Sept. 22. H. Rick Bamman - hbamman@shawmedia.com Woodstock North's Collin Mergl lunges for a first down in the first quarter on Friday, Sept. 16, 2016. 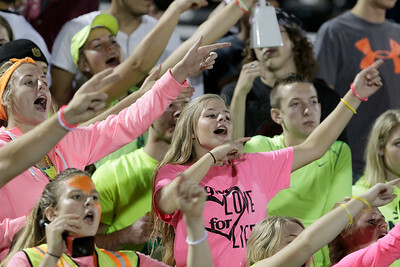 H. Rick Bamman - hbamman@shawmedia.com Marengo fans cheer during the first half during the game against Woodstock North on Friday, Sept. 16, 2016. H. Rick Bamman - hbamman@shawmedia.com Woodstock North's Nicco Mazzanti runs past Marengo defender Joseph Mier for a first quarter touchdown on Friday, Sept. 16, 2016. H. Rick Bamman - hbamman@shawmedia.com Marengo's Joseph Mier (left) blocks Woodstock North's Collin Mergl (10) as Jarren Jackson makes a cut for a first down in the second quarter on Friday, Sept. 16, 2016. North won, 46-41. H. Rick Bamman - hbamman@shawmedia.com Marengo's Jake LaSota pursues Woodstock North's Casey Dycus in the second quarter on Friday, Sept. 16, 2016. North went on to win 46-41. 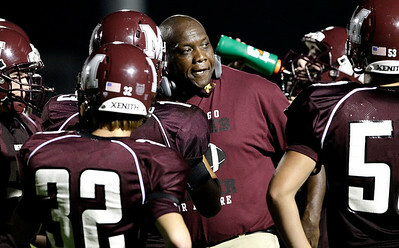 H. Rick Bamman - hbamman@shawmedia.com Marengo's head coach Matthew Lynch rallys his team during a time out in the first half against Woodstock North on Friday, Sept. 16, 2016. 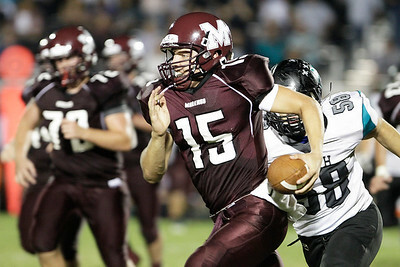 H. Rick Bamman - hbamman@shawmedia.com Marengo quarterback Eric Mackey runs for a short gain to close the second quarter against Woodstock North on Friday, Sept. 16, 2016. 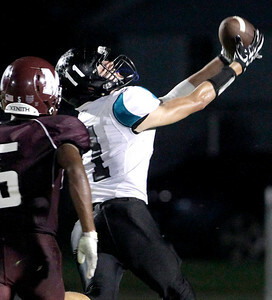 North won, 46-41. 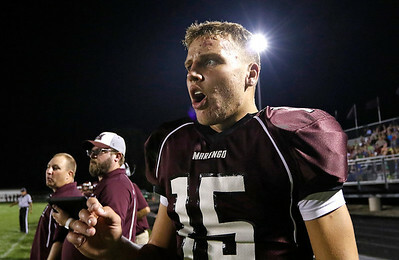 H. Rick Bamman - hbamman@shawmedia.com Marengo quarterback Eric Mackey shouts encouragement to the defense late in the third quarter against Woodstock North on Friday, Sept. 16, 2016. North won, 46-41. 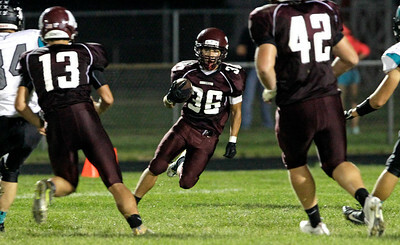 H. Rick Bamman - hbamman@shawmedia.com Marengo's running back Matthew San Miguel finds some running room on Friday, Sept. 16, 2016 in the third quarter against Woodstock North at Marengo High School. 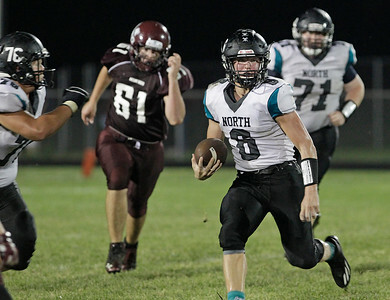 H. Rick Bamman - hbamman@shawmedia.com Woodstock North's quarterback Matt Zinnen runs for a first down in the third quarter against Marengo on Friday, Sept. 16, 2016. North won, 46-41. H. Rick Bamman - hbamman@shawmedia.com Woodstock North's Josph Grover catches a Matt Zinnen pass in front of Marengo defender Jarren Jackson for a touchdown early in the third quarter on Friday, Sept. 16, 2016. 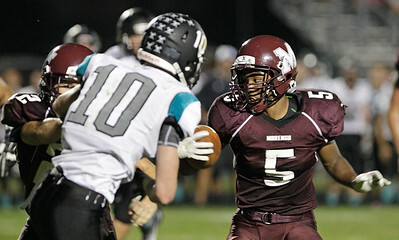 Marengo's Joseph Mier (left) blocks Woodstock North's Collin Mergl (10) as Jarren Jackson makes a cut for a first down in the second quarter on Friday, Sept. 16, 2016. North won, 46-41.